Powhatan County is a great place to call home! Located just minutes west of Richmond, Virginia, Powhatan is rich in history and offers a small town atmosphere and some of the most beautiful countryside in Virginia. Powhatan is located just minutes west of Richmond, VA.
Powhatan County is in the center of Virginia. Washington, D.C. is about 133 miles to the north, Virginia Beach is about 130 miles to the east, and the Blue Ridge Mountains are about 100 miles to the west. Powhatan has beautiful forests, including 4200 acres of game preserves for hunting. Horseback riding is encouraged in many areas and the James River provides opportunities for canoeing, water skiing, and fishing. Mill Quarter Plantation offers a challenging championship golf course. You'll love Powhatan's small-town atmosphere and beautiful countryside. The area features many new neighborhoods nestled among scenic farms and woodlands. Reasonable county taxes, excellent schools, friendly people, and accessibility to large metropolitan areas make Powhatan a desirable place to live. Located along the beautiful and historic James River, Powhatan is within commuting distance of Richmond and is less than an hour from Charlottesville. In short, Powhatan has it all! 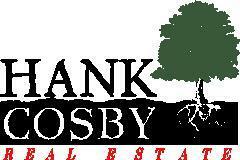 If you are considering a move to Powhatan County or the Richmond area, contact Hank today.